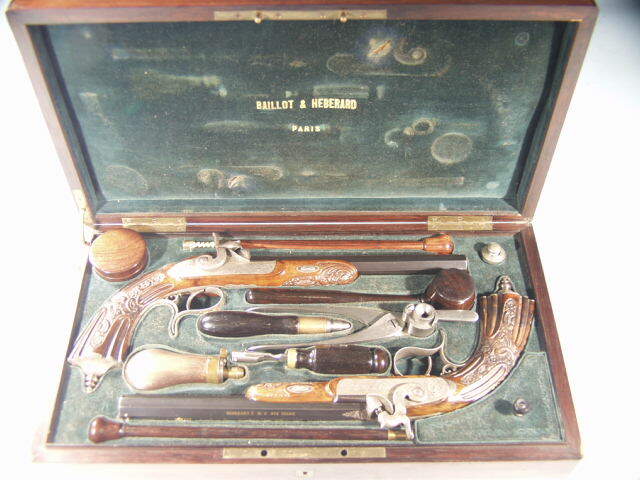 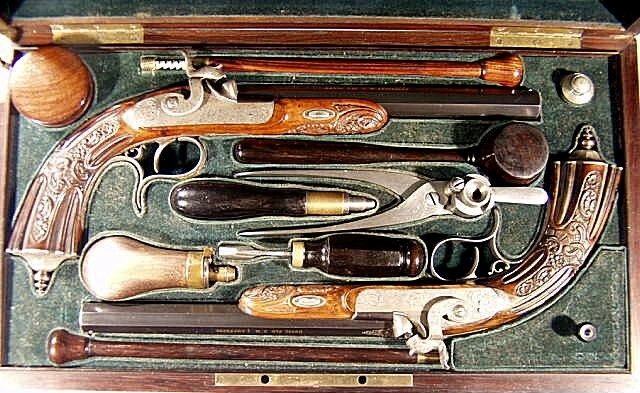 NAPOLEON III IMPERIAL PRESENTATION GOLD INLAID ORNATELY CASED PERCUSSION DUELLING PISTOLS BY BAILLOT & HEBERARD OF PARIS DATED 1863. 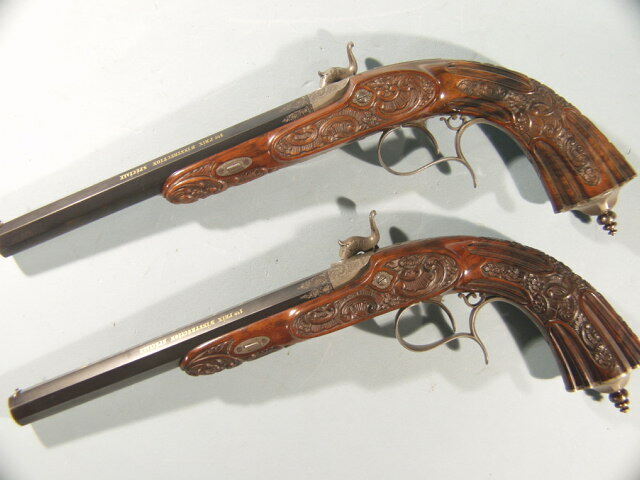 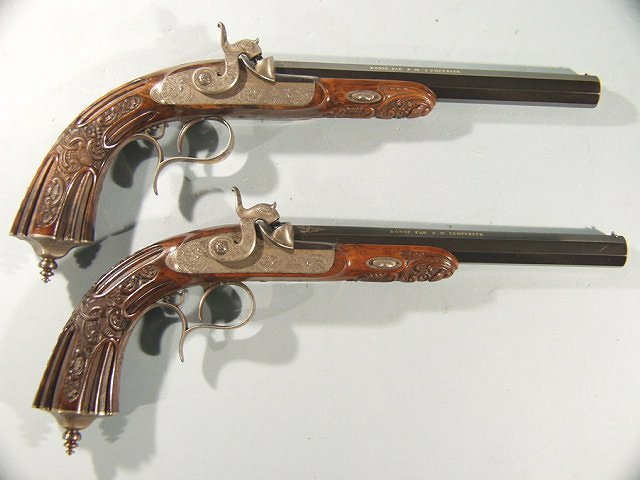 Magnificent gold presentation pistols with gold inlaid Imperial Arms on the triggerguard and inlaid on the barrels with Napoleon's Imperial "Crown/ N" crest. 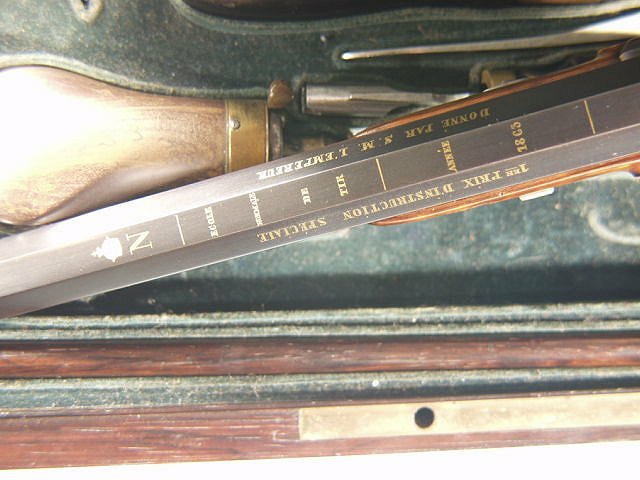 The .50 caliber 9 1/4" octagon barrels are signed in inlaid gold "1er Prix D'Instruction Speciale/ Donné Par S.M. 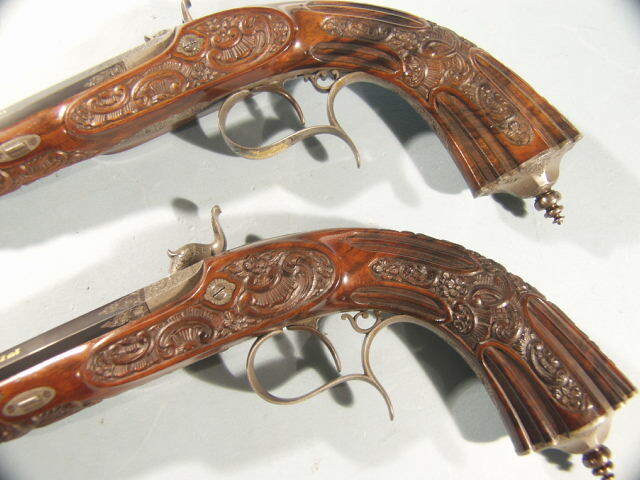 l'Empereur" on the upper side barrel flats. 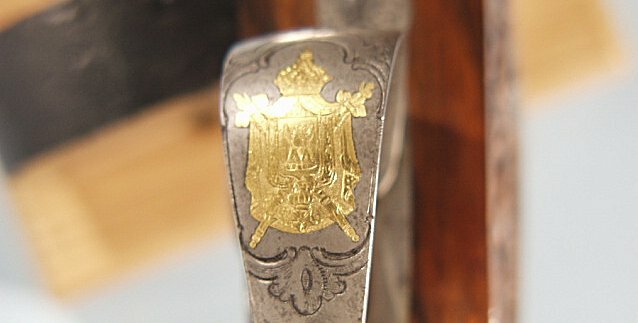 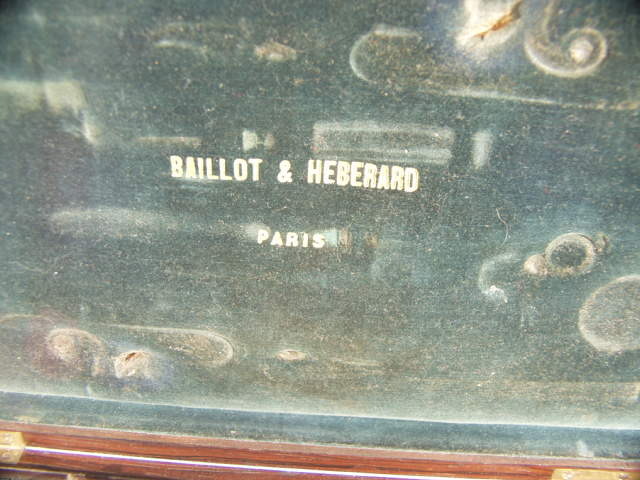 The top flat is inlaid- also in gold- "Ecole Normale de Tir, Année 1863."